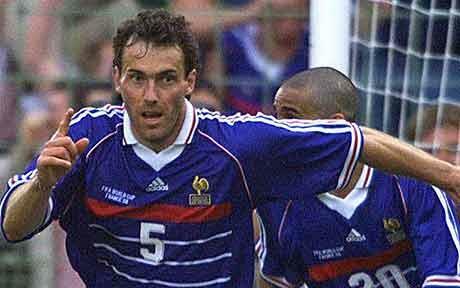 The hope of all of France went up at the end of World Cup 2006 when it was announced that Laurent Blanc would take over as manager of the national team. I must admit this pleased me also, having been a fan of the team since their victory over Brazil in penalties at the 1986 World Cup. Back then it was Platini versus Socrates in a match for the ages. This would be repeated at the France 98 final when the French won 3-0 with two goals from Zidane and one by Petit. France hasn't been the same since winning on home soil. Even at Germany 2006, when they reached the final, Zidane shocked their country and the world with an unnecessary headbutt against Materazzi of Italy. They lost in penalties to the Italians. Raymond Domenech remained as coach of the team through the 2010 World Cup cycle. But his pupils rebelled and his team fell apart. Losses to Mexico and Uruguay knocked them out of the tournament in the group stage. Even France's entry into 2010 was shrouded in controversy, as Henry's handball to set up his team's win over Ireland was seen by everyone but the referee. Now, in France's 2012 Euro and 2014 World Cup cycles, new life is gracing the team. Even though the team started his cycle with a loss against Norway, the team soon recovered with wins over Brazil and Argentina. The team now tops the 2012 qualifying group with a 6-1-1 record. Blanc has also brought in new faces to the team. Most notably, Marvin Martin and Younes Kaboul. Look for these players to make some noise in world football. Add Ribery, Benzema, Diaby, Diarra, Abidal, and you are already talking world class with a great coach behind them. Next year's Euro will be a tough test, but they can certainly hold their ground versus teams like Spain and Germany, and may have surpassed others. 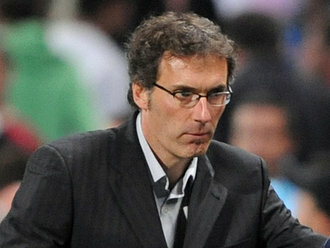 Blanc plays smart, attacking football with a concentrated defense. The man that scored the golden goal for France versus Paraguay in 1998, as the world held his breath, is ready for the challenge. And we are enjoying the way his team plays.